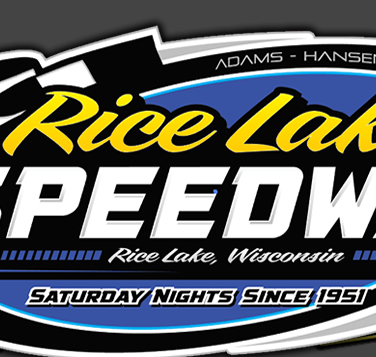 RICE LAKE, WI (April 18) – The Rice Lake Speedway opened up the 2015 racing season Saturday night in style, as the sixty third consecutive opener at the venerable track on the cities’ North side saw one of its long standing records tied. Kevin Adams won the opening night modified feature and in doing so, tied “The King” of the Rice Lake Speedway, Dave Morgan, for all time feature wins at the track by recording his 103rd main event win. Other winners on a breezy, windy and increasingly threatening night included two defending WISSOTA national champions in Tim Johnson and Shane Sabraski along with Michael Truscott and Nick Traynor on the five division program. Adams’ win was not an easy one as Kevin started in the third row of the modified main and had three different drivers challenge him mightily before the final checkered waved. Dave Cain and Mike Anderson sat on the front row and as the green flew, things got wild right from the start as Bob Broking dove low in turn one and he and Cain slid up the track opening the door to Anderson. Adams found a hole on the low side of the track and quickly stormed into second and closed on Anderson and before a lap was completed, Adams had the lead. As Kevin opened up a slight advantage, Anderson was quickly challenged for second by Cain. Shane Sabraski moved to the high side of the track and he quickly picked up the pace, eventually moving past both those drivers into second and then closing on the leader. Sabraski got right to the rear bumper of Adams and made several strong attempts to pass Kevin, nearly getting the job done. The lone yellow for a spin with twelve laps completed bunched the field and Sabraski got a bad restart, losing two positions on the start. Cain used the outside to take over second and he then closed on the leader. As Adams fought to hold him off, Cain used the top side to run right on Adams’ bumper, with the Minnesota veteran pushing the cushion very hard. Cain made his move to go around Adams in turn two but he got just out of the groove, broke traction and spun wildly across the track down into the infield. Fortunately, the field was able to avoid him and the race remained under the green. This gave Anderson his chance as he had been gradually moving back up after sliding back in the field earlier. In the last few laps he dove hard into the corners and slid right up to Adams rear bumper but he couldn’t make a passing move and had to settle for second, two car lengths in arrears of Adams. The last corner of the race saw Cory Mahder blow a tire and he forfeited third to Sabraski with Johnny Broking completing the top five. The non stop Super Stock feature saw Sabraski overcome a couple of fast drivers to take the win. Nick Oreskovich sat on the pole and got the jump on the pack but before a lap could be completed, Scott Lawrence moved up beside him to challenge and then take the point. However, Lawrence soon felt the heat of Sabraski behind him as Shane moved up the track and swept past the top two runners to take over the lead. Jason Forehand fell back early but then he too found the top groove and really started moving forward in the field, moving back into the top five and then marching even farther to the front. He blew past Olson and Oreskovich on the high side and moved into second, with the chase to catch Sabraski then on. However, Sabraski was very quick in front and he continued to set a quick pace. Forehand was able to close the gap somewhat, but Sabraski was still comfortably in front as the nonstop race didn’t allow the field a chance to catch up and bunch behind the leader. Oreskovich ran a strong race and finished a solid third with Olson hanging in behind him and Mark Stender also completing a strong drive with a top five finish. Michael Truscott had a strong 2014 campaign and he showed he’s ready to match that this year as he led from start to finish in the Midwest Modified feature event. He started on the outside pole and quickly got the jump on Grant Southworth to take the early lead. Young Austin Ellis moved into the second spot using the high side while the Viltz brothers, Ryan and Tito, battled behind him. As Truscott continued to hold the point, Shane Halopka was the driver on the move, as he charged up from the fourth row and, using two yellow flags for minor spins to aide him, eventually moved past both Viltz’s to take over third. A late race spin set up a three lap dash to the finish. Truscott stepped away on the green but Ellis stayed right with him while Halopka tried to dive under both of them. However, they remained in the same running order with Truscott taking the win and the second year driver Ellis recording his best ever finish ahead of Halopka. Tito Viltz hung on for fourth while Shane Sabraski, in his third feature race of the night, charged from the sixth row to complete the top five. Tim Johnson is the defending national champion in the Street Stocks along with winning last year’s Little Dream race and the Brainerd Minnesota driver let it be known that he will be tough to beat once again as he stormed up from the third row to win a relatively easy main event. His main challenger was Kyle Dykhoff who took the early lead from Sam Fankhauser and led the first few laps. Johnson moved past Justin Pogones into third and then closed on the leaders. Following a lap six yellow for a spin, Johnson moved to the outside, a spot most drivers were ignoring during this event and using big power and strong handling, he motored past the front runners to take over the lead. Once in front, he had relatively smooth sailing with an open track and no one knocking on his door. The driver on the move was Cody Kummer who started in the fourth row and gradually worked his way into contention. He drove past Pogones and Fankhauser in the late going to take third and was challenging Dykhoff for second when the checkered waved. Johnson had a comfortable margin at the finish as Fankhauser and Pogones completed the top five. A hard fought battle in the Pure Stocks saw Nick Traynor come from the third row to take the opening night win. Dusten Holub and Jason Havel took turns up front holding the early lead until Traynor moved into position and was able to pass them. The race was stopped on lap four after a grinding crash in turn four that involved Shawn Amundson and Bob Thompson. No injuries were reported in the accident. Traynor was able to take the lead following the restart with Havel and C.J. Wagner, who himself moved up from the fourth row, battling for second. On the last lap, Havel charged hard into the fourth turn in an effort to get under Traynor, but Nick had him covered as he drove on for the win. Brent Miller hung around and finished in the fourth spot, one position ahead of Holub. 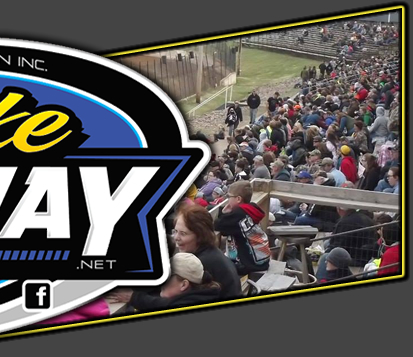 Next Saturday night, racing action will continue in all five divisions with hot laps slated for 6:30 p.m. Best Appearing Car awards will be given out before the races start. 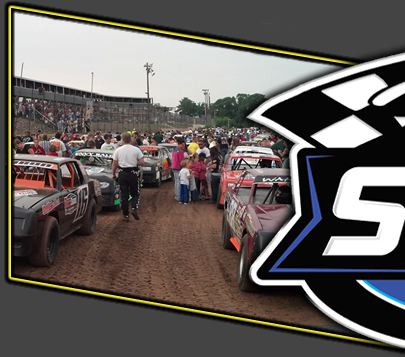 The first special event on the speedway schedule comes Thursday, May 14th when the USMTS modified series will visit Rice Lake, along with the WISSOTA Midwest Mods on the card also. 15 lap Feature – Michael Truscott(Chippewa Falls), Austin Ellis(Rice Lake), Shane Halopka(Greenwood), Tito Viltz(Rice Lake), Shane Sabraski(Rice MN), Ryan Viltz(Chetek), Grant Southworth(Bloomer), Tad Bretting(Ashland), Josh Wahlstrom(Rice Lake), Travis Anderson(Colfax), Jordan Wahl, Kent Baxter, Tim Ekdahl, Dan Kingsley, Karl Kolek, John Kallas, Paul Suzik, Tyler Luger, Tad Schoonover, Craig Elliott, Nate Doyen, Justin Hammann, Mickey Nosser.